Climate change is disproportionately affecting the world's poorest people. It is estimated that 90% of the burden from climate change effects will be felt by the world's poorest- urban dwellers and, especially, small landholders. We believe we can reduce the negative impact and help vulnerable people learn to adapt their practices in order to live the lives that they want to lead. I am starting an international non-profit that is using what we know about climate change science to help the world's poor living in highland mountain areas adapt to the effects of climate change on their own lives. These areas are particularly vulnerable to the impacts of climate change, both ecologically and socially. I work now primarily with Indigenous peoples. We are working with local experts on the ground to find solutions for a sustainable future that honor community and family traditions; and strive for a diversity of practices to maintain a secure supply of food and fresh water. Our work will potentially help hundreds of thousands of people learn to adapt their lives as subsistence farmers and small communities to the pressures of changing rainfall, biodiversity loss, rising temperatures, increased soil erosion and fires, new agricultural pests, and other direct climate threats to their ability to generate food and income for their families. The money will be used to fund my living and basic office start-up expenses until the end of the year 2016, by which point I expect to be fully incorporated as an international non-profit and have collaborations with several other service and research institutions in the Central and South American highlands. I have so far paid for my master's degree in resource economics, my climate research, and my start-up costs; out of pocket using my own time and money. We are currently involved in several community empowerment, research, and art projects that the money will keep going. I am the only scientist working to categorize, model, and graph the types of impacts that poor people living above 8000' are experiencing in this region of the world. Our work will help groups as diverse as the Nature Conservancy, the FAO, regional governments, community leaders, and other international aid agencies plan for climate change risk. We use an innovative approach and model that considers all aspects of human well-being, including the human-environment interaction and the value of the voice of participation. 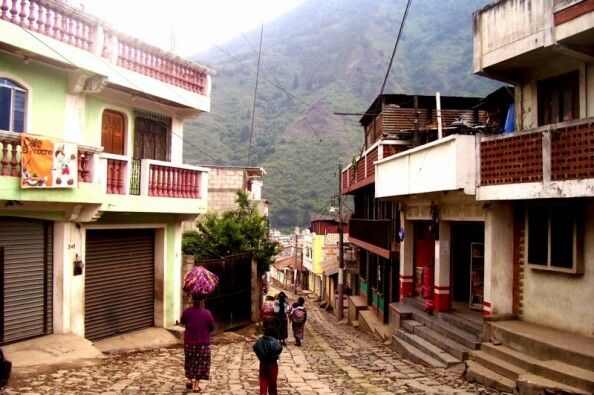 Our work touches on several key vulnerabilities faced by Central Americans: cultural isolation, economic opportunity, gender, food insecurity, water scarcity, crop loss, migration, loss of biodiversity, and government voice. I thank you for any and all assistance, be it monetary, a kind word, critique, or helping us spread the word. Thank you very much! For those interested in helping support the Guatemala volcano victims, I am accepting donations to my GoFundMe, earmarked for "Volcano relief." We are collaborating with local rescue and international organizations, registering all donations, and photographing all supplies bought locally herein Xela to send with the local fire department to the affected area. Thank you to everyone who has been helping me get to my goal over the past 5 years. I need to reopen this Gofundme for immediate needs for the next three months, and additional support for the following 5 months. I am asking for $2000 to get through the next 3 months; the rest, to help support projects and work for the rest of the year until I get a salary. -I had to hire a new lawyer in 2018, and essentially restart the legalization process for Alticultura, as the previous lawyer had made so many mistakes on our documentation that it needed to be entirely redone. To finish the final stage, I need to pay the new lawyer, and our accountant, $250. -My co-director was diagnosed with leukemia last year. He had been covering for me while I worked on my thesis, and filing for funding for us- but had to stop with his diagnosis. I spend about 30 hours a week now on grant and job applications, plus an additional 20-50 in my art studio and on 5 consultancies that I picked up. I am getting paid for my efforts, but it is very little- it barely covers rent most months. I have had dozens of interviews, but no formal signed offers. I need to make $300/ month to cover basic living costs above what I am currently pulling in with my efforts. 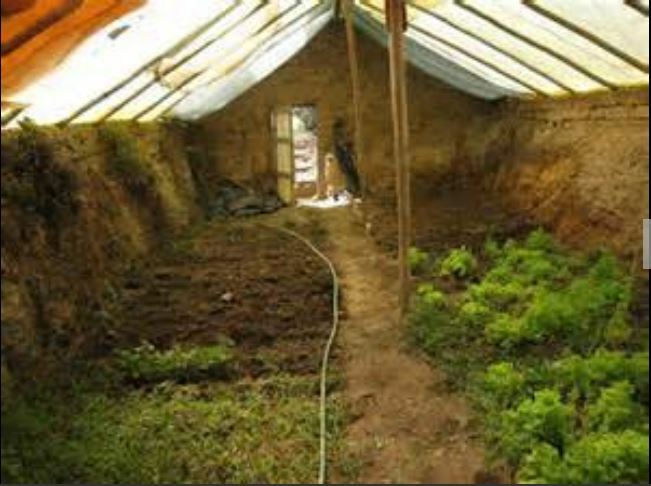 -I did get us our first grant for an adaptation project, for a subterranean greenhouse pilot project in May. It is very exciting, and I have a blog post up for anyone who is interested! I got us $1000 in funding that needs to be used for the project (not for any of my costs), and our collaborating organization is fronting the rest. -I have agreements with 2 local animal rescues, with whom I have a mutual help arrangement. I took in 3 handicapped animals that needed permanent homes- and the rescues help me with about 75% of food and medicine. I had a mama dog and her 10 puppies ALSO adopt me. I rehomed 8 of the puppies, and am getting the mama and the two older pups spayed with the second organization. I need about $150 to get the 7 dogs of mine updated again in their vaccines, dewormer, flea control, etc. With an additional $150, I can also work with a local vet and do a massive local spaying/ neutering campaign for around 50 dogs plus my cat. The donations I receive from the other organizations are in-kind- again they are supply/ food donations. Not salaries. -I need a month to be able to sit down and finish my master's thesis, for which the first publication is 75% written- which means I need to be able to NOT be working 80 hours a week on the other things. I need a tiny bit of breathing room. I am asking for the $1000 I would need for that to happen. -I got the broken computer situation fixed with help from donations- it ended up costing me around $1200 total with the purchase of two backup machines, 2 external hard drives, several USB backups, and maintenance on the refurbished needed to make them usable. They are both functioning well. THANK YOU AGAIN to all who donated and helped! -I STARTED A SCHOOL!! I am offering 4 types of courses for students. I am asking for an investment of $100/week to be able to get two talented and motivated student interns into a live-in, intensive course where they will learn organizational leadership, development, and grant writing. One will go on to graduate school for his doctorate; the other will stay with me as a grant writer, teacher at our school, and project leader for Alticultura and help us finally build our team. He will take over what our co-director (who is now legally blind) can no longer do, while we move the co-director into support positions that he can perform with his limitations and disabilities. He is still working with us, but has genuine limitations that we need to accommodate. Other students and organizations that come in will be offered a sliding fee scale of $3-5/ hour for instruction in professional and personal development and climate change. I am ALSO offering courses long distance to any international student who might be interested in coaching or climate change programs with me. Interested? Just ask!! -My first student at my school has been thrilled with her courses, and is designing her own organic local farm to support herself and her two children. She started with no training, and was ready to plan her business after five weeks with me! -I continue to work with my Alticultura start-up team on their formation as professionals in social entrepreneurship, as well. They are very happy with the training they are receiving. -I just published my 4th (and 3rd bilingual) poetry book as a professional author. I have the first formal presentation in Spanish this Thursday. I have been asked to assist the writing and publication of 7 more non-fiction books by local authors; one poetry anthology spanning ten years; and I have designs for a non-fiction book and novel of my own. If I could net $2000 to offset living costs for the next 8 months, I can make this happen- and generate income from writing. -I need to make some personal investments in my home and health/ Healthwise, I am 5 years overdue for a yearly physical, 2 years overdue for a baseline mammogram, 4 years overdue for a bloodwork and heart exam follow-up, and 3 years overdue for a follow-up to a troubling routine cancer screening. I am looking for $400 to cover all out of pocket medical costs that I have not been able to afford due to my prolonged unemployment and delayed legal status. For the home, I am investing in a water pump, since I now have water for only about 2 hours a day. That costs $125. -Finally, I need to make some minimal investments in business cards, marketing materials, and supplies for all of my businesses- Alticultura, the jewelry business, and my consulting. About $500 will go towards that. -I currently have about 12 applications for international funding, in review. I am hopeful that one or more will come through for us. I am holding on and knocking on every door, teaching at local universities, helping anyone who needs it- while I make this happen. -I have made progress on my single most important and largest initiative- land restoration and carbon capture through regenerative agriculture, and the establishment of Central America's first certification and research center for carbon-based land management of this type. I will update as I get more information. This initiative will help at least 500,000 users over the next 10-15 years. I accept donations on this Gofundme. have a Patreon for monthly recurring donations. All of my published books are available online under my author name "Marie Anzalone." I will gladly answer any questions or inquiries anyone might have about my work and its expected impact, and how we have used the money previously donated. We are in the homestretch for being a fully functional legal organization! Over the past 3 years, with the funding we received, we built our base and credibility. We have an office and conference center for meetings and workshops of up to 15 people, with experimental climate change adaptation practices on site. We have an innovative chicken project with local women's groups that serves 70 women. We have been part of the national dialogue on climate change policy, and have developed 6 professional courses for policy makers and leaders working in agriculture, water systems, environmental restoration, food security, and economic development. We need to keep pushing towards our goal in order to cover all costs of legalization, inscription, and the search for tart-up funding for implementation of our projects in research, innovation, agricultural diversity, extension, art, and youth leadership. If you can help, it would be greatly appreciated. It is almost November, and we are just over halfway to our end-of-the-year goal. The legalization process has begun- we are formally soliciting our Board of Directors and the business plans are done. 2014 promises to be an exciting year, and our help is being solicited by dozens of organizations and communities. But we need to make it until then. We need to raise $4000 more to cover rent, transportation, stipends, and legalization costs. Please help us keep our message, and our dream, alive. Share our story... and remember that every $5 is $5 closer to our goal. Reading what you are doing in Guatemala hit every inch of all my nerves, I wish I could be doing it also! Go Girl Go. Love you - hope this helps a bit. I am so impressed by your work, Rachel. This isn't much but it's heartfelt. I hope that lots more folks contribute, too! Hope this helps - wish it could be more!